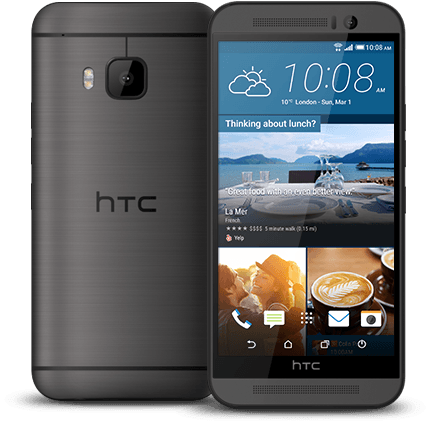 HTC One M9 price – Find out about HTC One M9 specs and where to buy in Nigeria. HTC One M9 scores high on its industrial design and the in-hand feel is the best in class, arguably better and finer than even the iPhone6. The M9 is marginally lighter than the M8, a scratch resistant coating ostensibly offers better protection to its metallic body. This device features a 5.0-inch full-HD display and is powered by a 2840mAh battery, rated to give up to 21.7 hours of talk time on 3G networks. The M9 comes with an Android 5.0.2 Lollipop with brand new Sense 7.0 UI on top. The One M9 comes with a 4-UltraPixel front camera that HTC hopes will translate into better selfies due to its low-light photography capabilities. How much is HTC One M9?